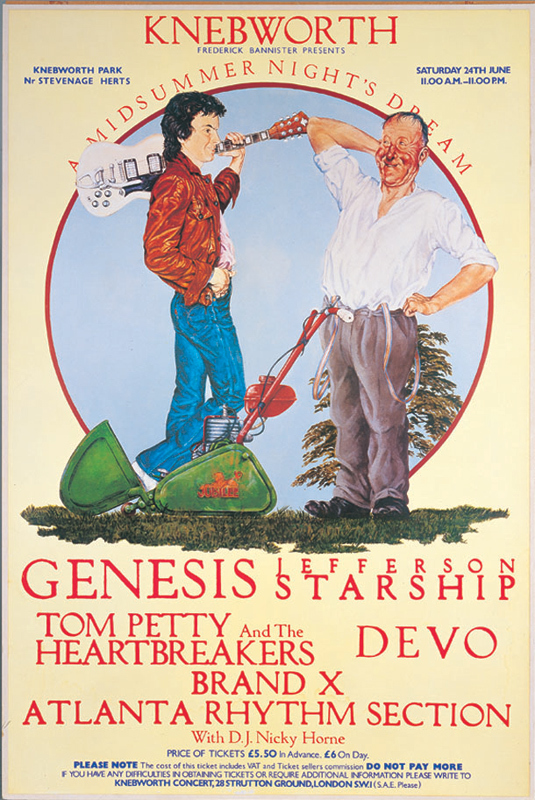 The first Knebworth Festival of 1978 featured Genesis and Jefferson Starship with Tom Petty and the Heartbreakers, Devo, Brand X and Atlanta Rhythm Section. Due to domestic differences between Grace Slick and her long timeÂ partner, guitarist Paul Kantner, Grace returned to America before the gig. It was the first time the Starship had ever played without her. However, they pulled out all the stops and received a standing ovation at the end of their set.